Our team of specialists are passionate about making shops work through insight and engaging design. Between us we have over 20 years experience in all aspects of design and implementation across most sectors in many countries. We thrive on building great partnerships with the brands we work with helping them to gain commercial success. Since founding Shopworks UK in 1997, Craig has led the company through a period of international growth building shops that work based on 20 years of researching how and why people buy. 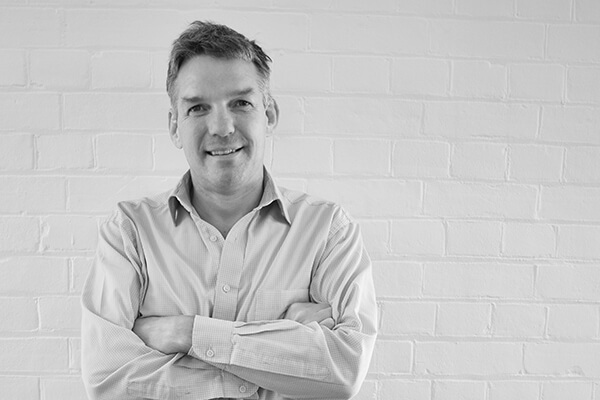 With overall responsibility for Shopworks worldwide Craig leads the strategic direction and development of the company where he is also actively involved in the delivery of consultancy and design projects, reflecting Shopworks’ “hands on” approach to business. Craig has considerable experience in retail and marketing, having worked in senior management positions for large, multi-national organisations such as BP and Kodak. Craig’s particular strength lies in his ability to identify business development opportunities and boost company performance. Craig is a regular speaker at retail conferences and industry seminars worldwide where he generally speaks about how to increase sales through understanding customer behaviour and creating a better retail experience. When not at Shopworks, Craig can be found riding his bike or walking the dog, recently voted “Least appropriate family pet” at the village show (the dog, not Craig). With over 10 years’ experience and a degree in architectural design, Ross is Shopworks Head of Design in the UK and across their international offices. His extensive design experience includes interiors, branding, graphics, digital and experiential design. 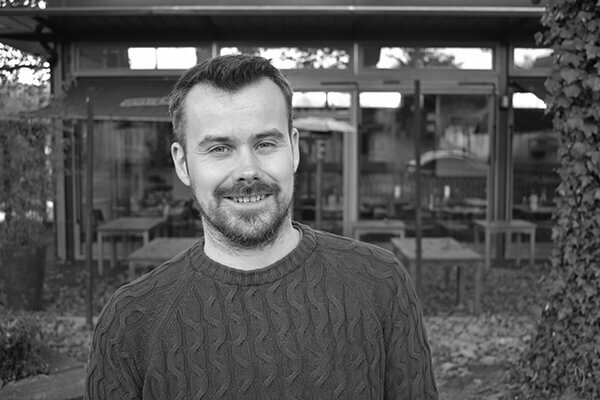 Since joining Shopworks in 2012 Ross has led the creative development and Pan-European rollout for a range of brands in the telecom, food & beverages, DIY, grocery and hospitality sectors. Ross has a particular passion and interest in customer engagement with Virtual Reality, Augmented Reality and Mixed Reality within retail environments, and created the innovative augmented reality concept and design for Shopworks very successful EuroShop 2017 exhibition stand. When he’s not busy being an international design sensation or taking care of his family, Ross can be found grooming his impressive beard or in his car practising his Arnold Schwarzenegger impressions. Having spent seven years in the world of design, Stuart has trained with multiple design agencies and has managed his own studio in the past. With a diverse portfolio showcasing skills in 3D modelling and sketching as well as 2D layout planning previous teammates include Shell, Costa, House of Fraser and Pandora to name but a few. A drive for finding the optimal solution to briefs through a tailored approach ensures clients achieve their goals. After a round of concept creation or technical drawings, you’ll often find Stuart playing the field or swinging. Be it attempting to score last minute goals or sinking a birdie before tackling the 19th hole for a well deserved cider. 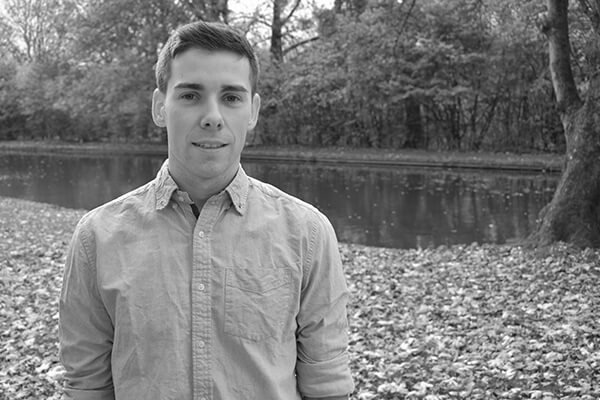 Joe is the Shopworks in-house graphic designer and a lover of all things typographic. 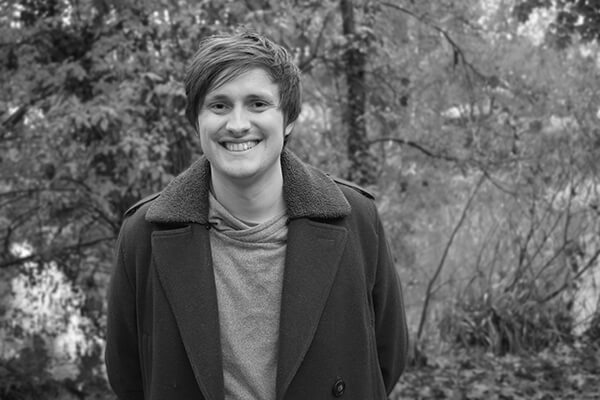 He has over 6 years experience working in the industry on projects for Shell, AkzoNobel and Selfridges to name a few. At Shopworks Joe is responsible for our graphic output which ranges all the way from identity projects to signage, he is also a dab hand when it comes to video editing and animation. Joe studied graphic design at Lincoln University and in his spare time he paints and composes top notch hip-hop beats — he also has over 20 pairs of trainers currently in rotation and still doesn't think that's enough. 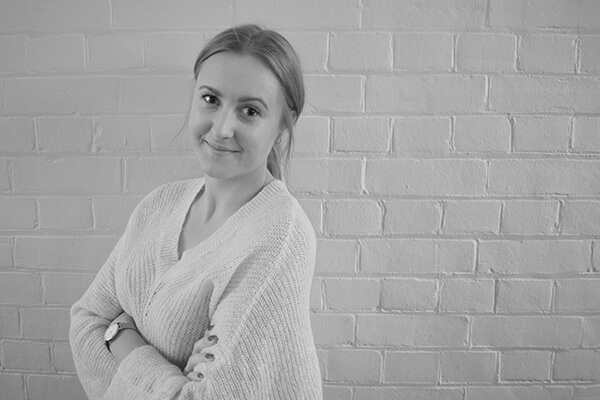 With an interior design degree from the University of Huddersfield, Zoë brings energy and an eye for detail to all her design concepts. Having a passion for sustainability, she is always looking to use the most eco-friendly materials to make even the most elaborate project as environmentally aware as possible, even if the customer doesn’t know it yet! Zoë has experience across various sectors including restaurant, residential, office and retail design and loves developing a client’s vision into a reality. In her free time, you will catch her in the swimming pool or up a pole, always ready to take on the next sporting challenge for charity. 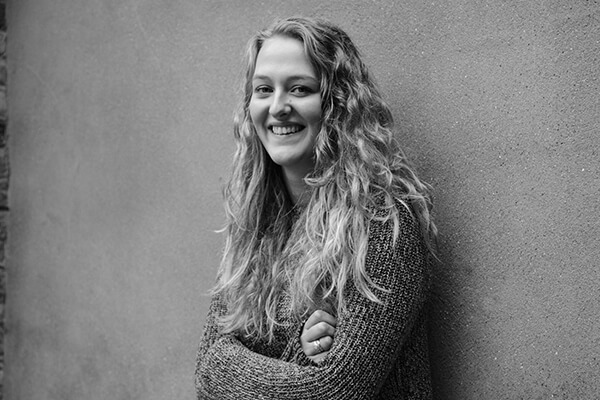 Emily has recently joined the Shopworks team as Project Manager. 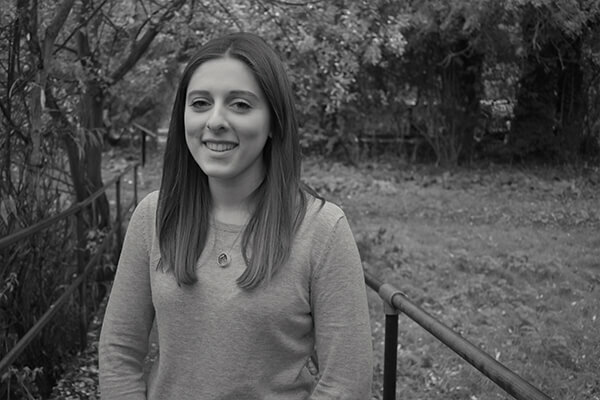 With over two years experience as a project assistant for data centre refurbishments Emily will be putting her scheduling and structured planning skills to use to ensure that Shopworks projects run smoothly as well as on time and on budget. A successful shop fit-out relies on a detailed understanding of a client’s individual needs and Emily works with customers to ensure that their requirements are met exactly. She particularly enjoys the problem solving aspect of being a Project Manager and the satisfaction of seeing a successful project through from start to finish. Outside of the office Emily enjoys yoga and walking and you can always find her at a food festival debating how much cheese is too much cheese! Since graduating from VIA University Design in Denmark with a degree in Retail Design & Business, Linda has spent time working as a category management specialist at Shopworks. She helps our clients to increase their store revenue through strategic category placement and range that has a positive impact on shopper satisfaction. She has worked on projects for international brands like Shell, Costa Coffee, Puma Energy and Emarat. Originally Linda is from Latvia and has so far lived in three different countries. It has given her a more open view of the world and made her think ‘outside the box’ instead of following the traditional way of doing things. In her spare time, Linda enjoys going to the gym and getting lost in London while exploring the newest Vegan places in the city.